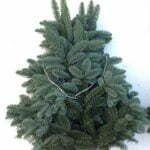 Nobilis cut foliage can be used for Christmas bouquets, wreaths, funeral bouquets and other decorations. 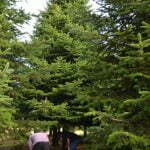 Cut foliage can be found in trees of which the first branches grow two metres above the ground. 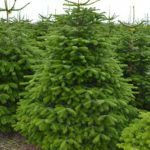 The best branches for Nobilis cut foliage can be found high up in the tree, because these branches are less susceptible to damaging. 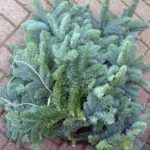 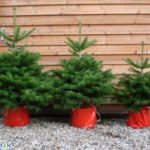 Nobilis cut foliage is cut by a team that specialises in collecting cut foliage. 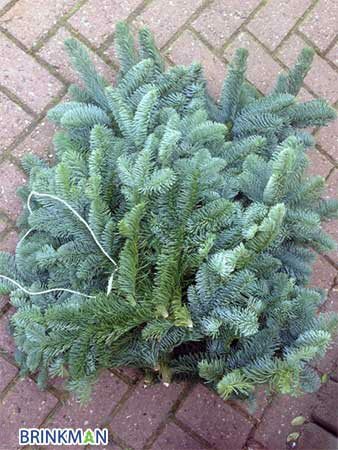 The branches that are suitable for cut foliage are carefully cut and packed into bundles of 5 kg. 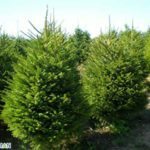 Thereupon the bundles are packed separately or on pallets, this can be adjusted to your wishes. 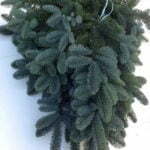 After this the bundles are dispatched, to be able to provide you of fresh cut foliage within 5 days. 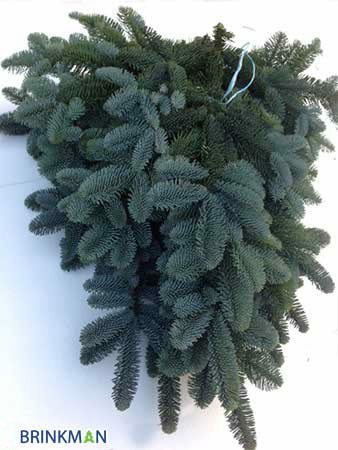 Extra short branches; the bundle contains 12 to 16 branches (blue label). 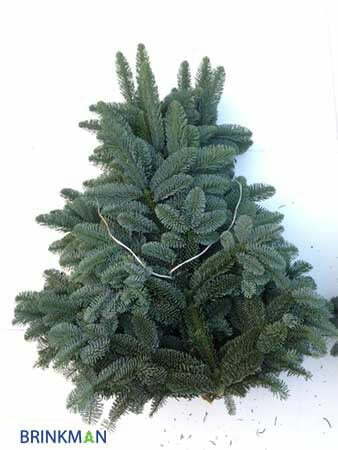 Decoration branches; the bundle contains 5 to 9 branches (white label).